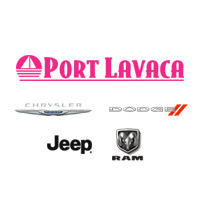 Port Lavaca Dodge Chrysler Jeep Ram is the leading dealer serving the Corpus Christi, Victoria, Seadrift, Bay City, and Edna area. We’re located at 1901 Highway 35 South in Port Lavaca, just minutes from many communities in Calhoun County. If you’re looking for a new car, don’t miss out on the wide selection of current models we have to offer. Our inventory includes all the current models from our manufacturers. Chrysler provides luxurious models, while Jeep offers rugged vehicles that are ready to take you far off the beaten path. Ram makes the kind of hardworking trucks that you can depend on, and Dodge provides both high performance models and versatile family friendly crossovers. In addition to all those brands, we stock an extensive inventory of affordable pre-owned models from a variety of manufacturers. Our finance team is happy to help you afford your dream vehicle. We’re able to arrange both auto loans and leases with low monthly payments, so driving a new or pre-owned vehicle is more affordable than ever. It’s easy to get started with our online finance application. The service center at Port Lavaca Dodge Chrysler Jeep Ram is staffed with experts who can provide expert maintenance and repair services for any Chrysler, Dodge, Jeep, or Ram model. Our team knows your vehicle inside and out, so they can quickly and professionally provide oil changes, brake adjustments, tire rotations and replacements, transmission and engine service, exhaust service, and much more. You can schedule an appointment online now. Our team here at Port Lavaca Dodge Chrysler Jeep Ram is ready to help you find your next car. Visit us today if you’re ready to find out more about what we have in stock, or if you need some repair or maintenance services. We hope to see you soon!